In a small Ivorian village lives a much-despised little swineherd. One day, after one drink too many, a childlike God comes to him in a vision and elects him to save his people. 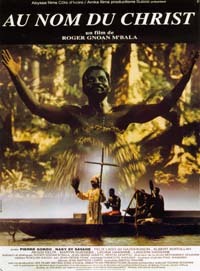 Ciné-club Afrique "Au nom du Christ"